Organic farmers and trainers from NECOFA in particular promote the establishment of stevia plant as an ideal additional crop to their yield. These is in relation to its increase in production on organic soils. Though non toxic, stevia plants have been found to have insect-repelling tendencies. Their very natural sweetness, in fact, may be a kind of natural defense mechanism against aphids and other bugs that find it not to their taste. Perhaps that’s why crop-devouring grasshoppers have been reported to bypass stevia under cultivation. Therefore stevia is a good crop to promote resilience from pest infestation and a short term crop to strengthen climate change adaptation to mitigate its adverse impacts in agriculture. Stevia plant, scientifically known as Stevia rebaudiana and locally called sweet leaf, sugar leaf is widely grown for its sweet leaves and medical value. With its extracts having up to 300 times the sweetness of sugar, stevia has garnered attention with the rise in demand for low-carbohydrate, low-sugar food alternatives. 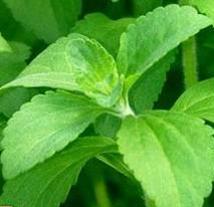 Medical research has also shown possible benefits of stevia in treating obesity and high blood pressure. Because stevia has a negligible effect on blood glucose, it is attractive as a natural sweetener to people on carbohydrate-controlled diets. Stevia has a negligible effect on blood glucose, even enhancing glucose tolerance; therefore, it is attractive as a natural sweetener to diabetics and others on carbohydrate-controlled diets. We sell Powder,seedlings and cuttings, from our Molo branch…. If you reside in Nairobi or nearby You can buy stevia green powder or seedlings from: MR. Macharia -0727953867. For more information do not hesitate to call our office: 0715639223.